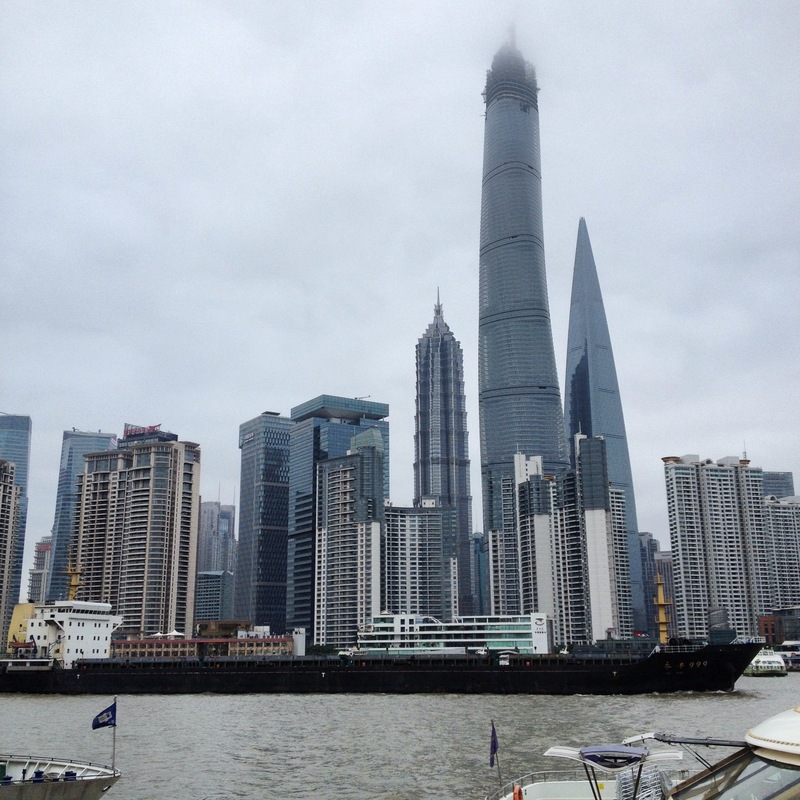 Two weeks ago, I wrote an entry on the even of my departure for a week-long trip to China with a client, bringing a group of “New Generation” (Gen X / Gen Y) leaders from a Thai multinational on a learning trip to Shanghai and Beijing. The trip was a big success. We started in Shanghai, the world’s largest city (as measured by population in the official city limits) – 25 million people! There we did a walking tour of the French Concession to taste local dumplings and practice making them. We went to a innovation consultancy that helps companies think differently about their customers, especially in the China market. 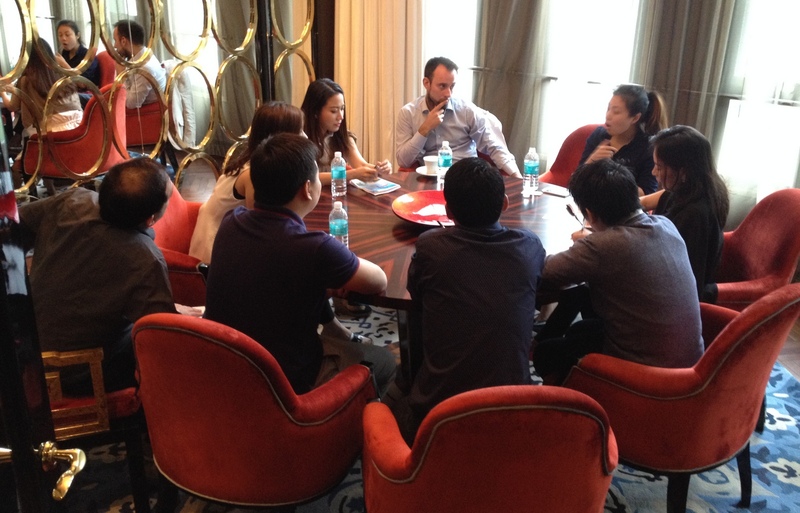 We had two separate informal sessions, one over dinner and another in the morning, sitting down with young professionals from different countries and industries, to learn about their experiences within China and elsewhere. We took many opportunities to debrief, reflecting on our learning and understanding how it relates to our day-to-day work. 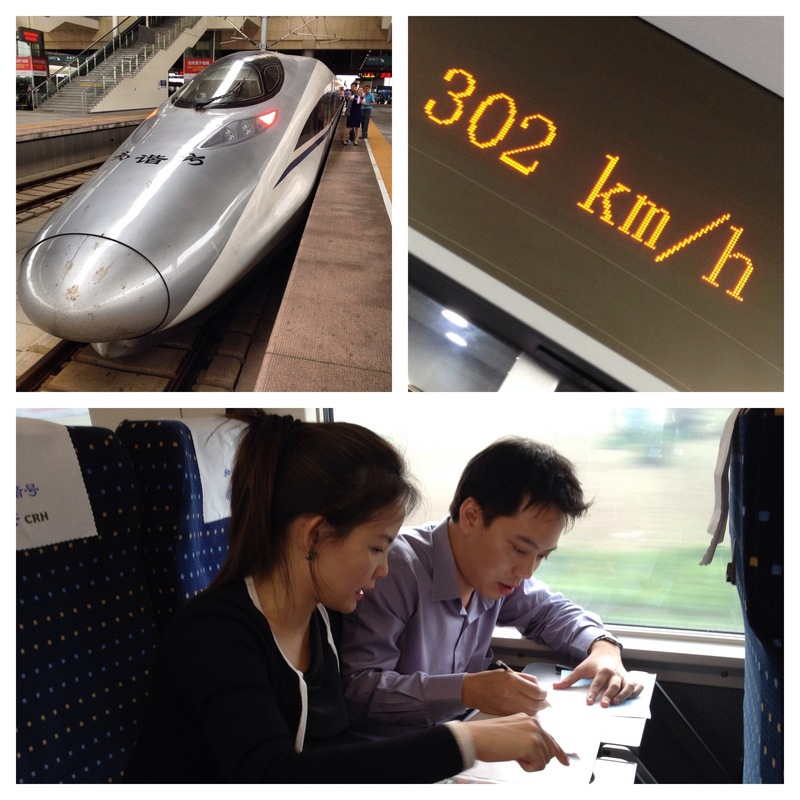 One of the most interesting debrief sessions began on the bullet train from Shanghai to Beijing (300 km/h or 185 mph) and continued that evening in the hotel. During this time, I noticed that the participants’ thinking was starting to shift. They were moving from a very linear way of thinking to a more lateral way. I enjoyed watching as the lightbulbs started to illuminate! Beijing was an altogether different city from Shanghai. While almost as large (21 million people), it is much more congested despite having incredibly large, wide roads and big buildings. Everything seems to be on a monumental scale. It was certainly more “Chinese” in character than Shanghai, which is much more international. One of the most powerful exercises was an afternoon in which we paired the participants up with Chinese university students, all of whom were reasonably proficient at English. They showed us around the city in small groups, giving everyone a chance to learn about each other and gather a diversity of first-hand experiences. In the subsequent debrief, it was interesting to hear how different participants’ “buddies” had wildly different perspectives, illustrating just how diverse and fragmented a market China is. Of course, no trip to Beijing is complete without seeing the Great Wall. After an evening of rain and wind which had scrubbed the polluted skies almost clean, we found a bright and sunny morning along a relatively quiet stretch of the wall. On our final morning in Beijing, we stopped by the 798 Art Zone, a former industrial area that was taken over by artists and subsequently converted into a proper arts district. Despite my initial fears, it was actually a very cool and happening place, with a vibe that doesn’t feel at all contrived. 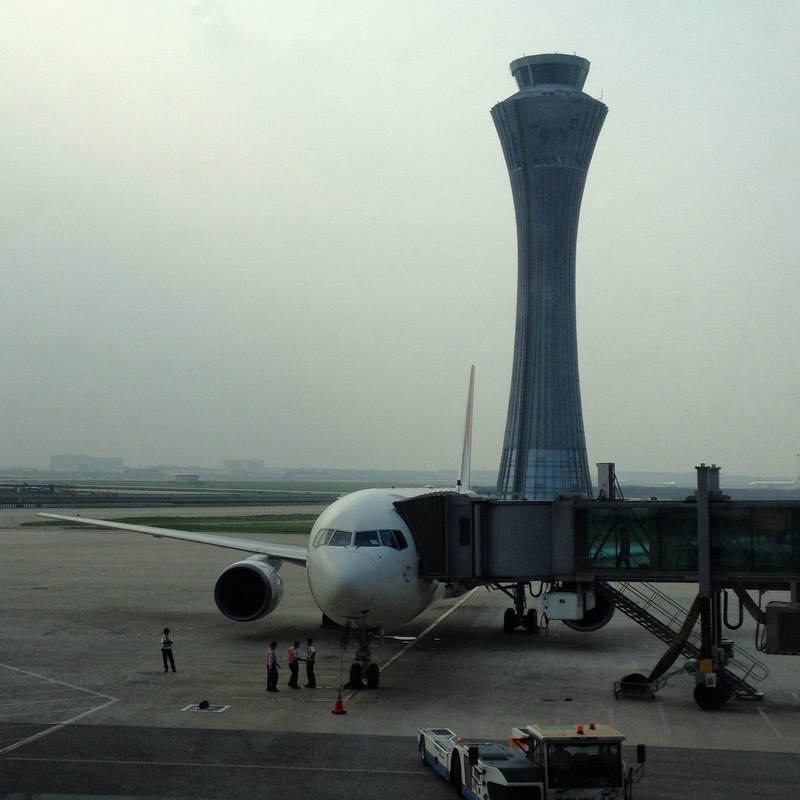 We headed to the majestic Beijing Capital Airport to board a flight home. There was a characteristic delay of about two hours due to weather, but we arrived in Bangkok around midnight. The six days with these New Gen leaders was an exciting experience for me. Exciting both to spend time with a smart, interesting group of people, but also exciting to see them grow and learn. The final morning, I interviewed each of them about what had changed over the previous six days. Each participant had very thoughtful, reflective responses that made me realize just how much one can change in less than a week’s time. After three months of preparation, I leave this evening on a very interesting work trip. I’m taking a group of 13 “New Gen” (i.e. 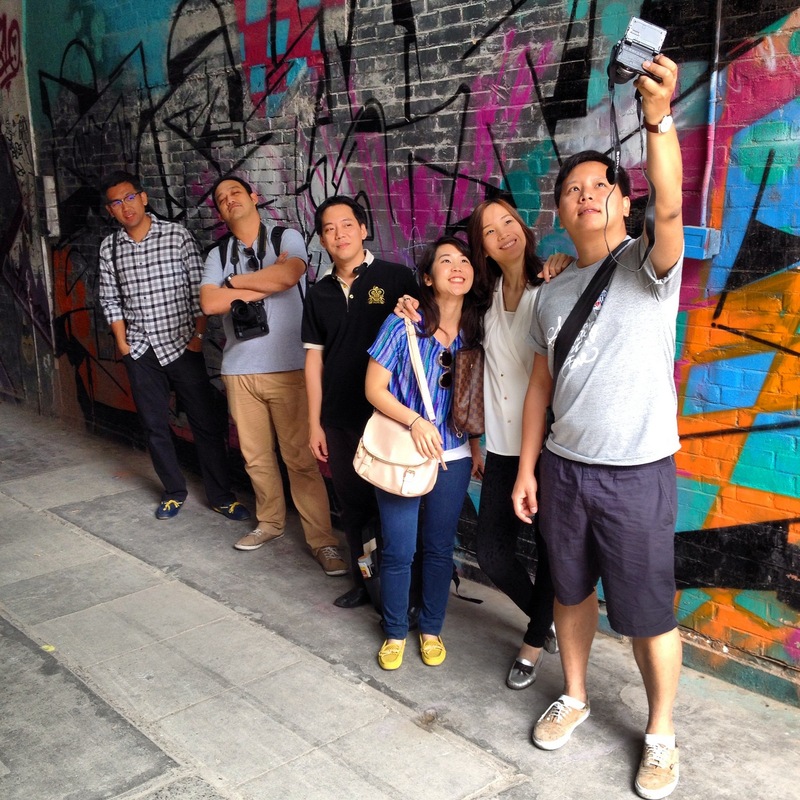 late Generation X / early Generation Y) leaders on a six-day learning field trip to Shanghai and Beijing, China. Employees of one of Thailand’s largest multinational companies, these New Gen participants are part of a 15-month program I’m leading to develop the next generation of leaders in the company. Specifically, they are trying to build leadership capabilities that will allow these Thais to work effectively in an international environment, especially if they are assigned to work abroad. The field trip is an opportunity both to learn more about the company’s growing operations in China, but more importantly, it is a chance to challenge them, expose them to new things, and really test their ability to think differently about the world. We jokingly named it the “Great Mall, Great Wall” field trip because the participants’ capstone project will be to propose a food and beverage business concept that their company could consider investing in in China. 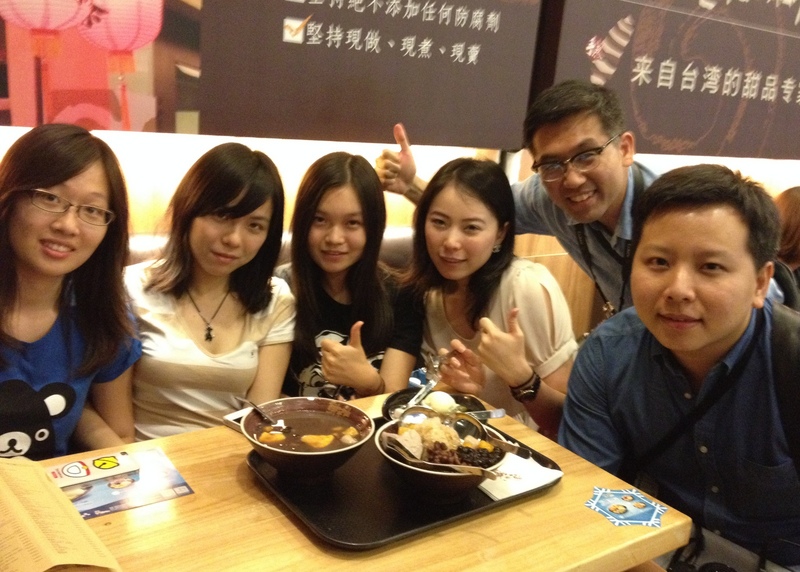 To study for this, we will visit several malls, which is where their company’s current F&B outlets are mostly located. And, of course, we will make a visit to the Great Wall. There are 13 participants, one chaperone from the company, and then me – the single observer, facilitator, coach, mentor, debriefer, and all-around tour guide. Should be an exciting but exhausting week!